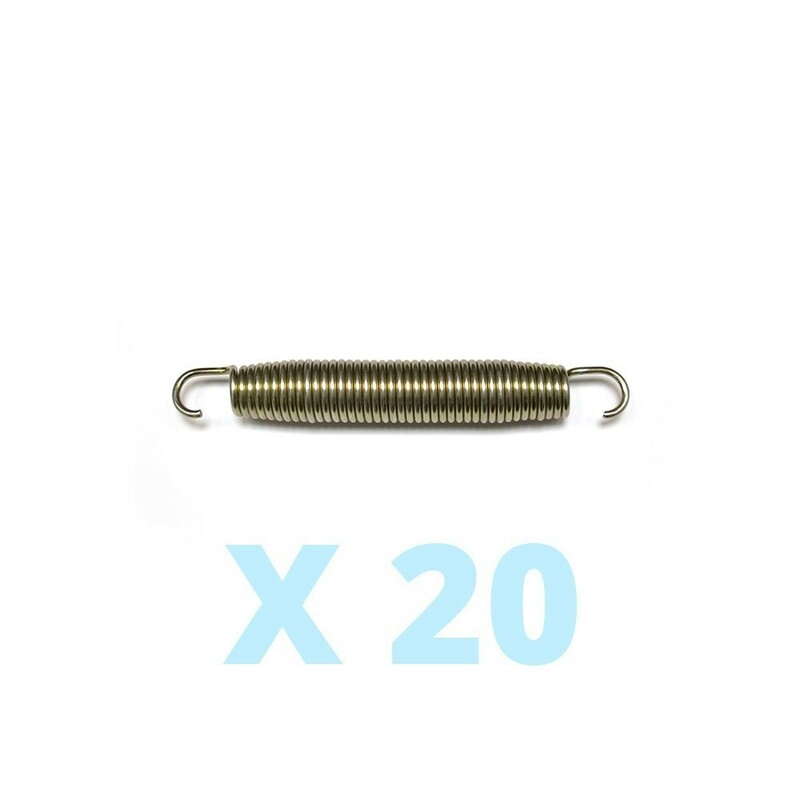 This tension spring is sold individually and will allow you to replace the damaged springso on your Junior trampoline. Do you need to replace one or more springs on your Junior Trampoline? The spring, sold individually, will allow you to easily change your damaged springs. It's an original piece and therefore has the same features as your trampoline's springs. - 136 mm long. If you have any doubts, measure your springs form one end to the other. - Golden colour. Like the other springs, this model is exclusively available in a gold colour. - Sold individually. Only replace the number of springs that is necessary.